Our final Pop-ups for 2017! Our Nature Play SA pop-up shop will open on the balcony of our beautiful Wittunga Botanic Garden headquarters for some peaceful pre-Christmas shopping on Monday 18 + Tuesday 19 December [1 pm – 4 pm]. Come enjoy the garden surrounds and purchase from our thoughtfully curated selection of books and quality products which aim to inspire and support children’s time in the outdoors. Our limited edition 2018 Calendar will be available for purchase along with beautiful new products including whittling tools, wooden mortar and pestles, quality art supplies for nature journaling and more! Parents, carers, educators and children are welcome and a loose parts area will also be available for children to play while you browse. 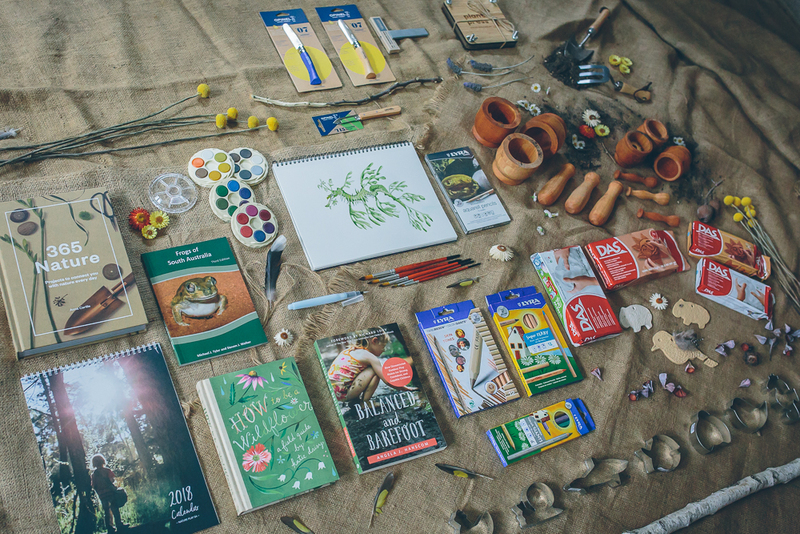 All proceeds from Pop-up shop sales go towards helping us as a not-for-profit organisation achieve our vision – to make nature play an everyday part of children’s lives. Eftpos or cash is accepted for shop purchases. GETTING THERE // Our headquarters are located on the corner of Shepherds Hill and Sherbourne Roads, Blackwood. We recommend parking and accessing the Shop from Sherbourne Road or alternatively parking in the main carpark on Shepherds Hill Road and following the main road or Garden trails to Wittunga House. A map of the Gardens is available here.